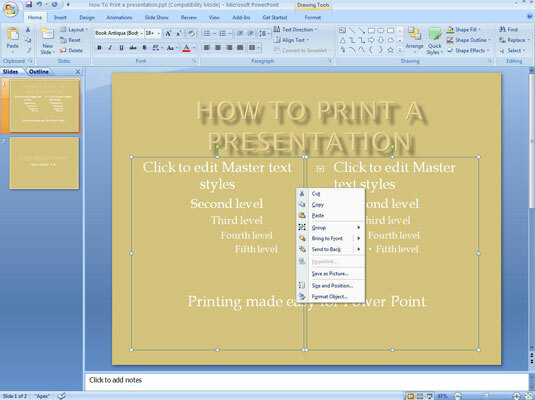 PowerPoint Slide Masters enable you to add background objects that appear on every PowerPoint slide in your presentation. 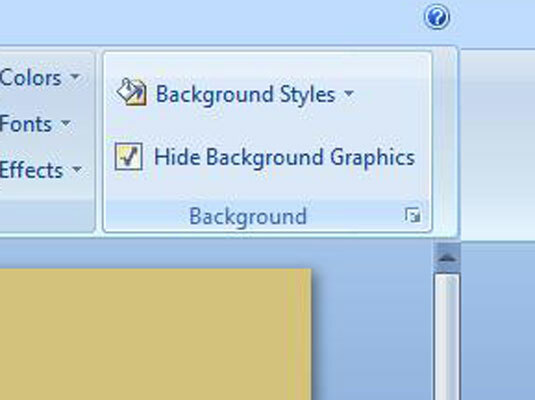 You can, however, hide the background objects for selected slides. 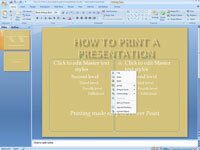 You can also change the background color or effect used for an individual slide. 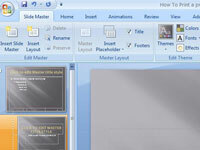 Hiding background objects or changing the background color or effect applies only to the current slide. Other slides are unaffected. 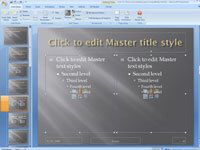 1Display the slide that you want to show with a plain background. 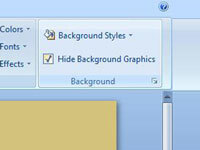 2Click the Design tab on the Ribbon and then select the Hide Background Graphics check box found in the Background group. 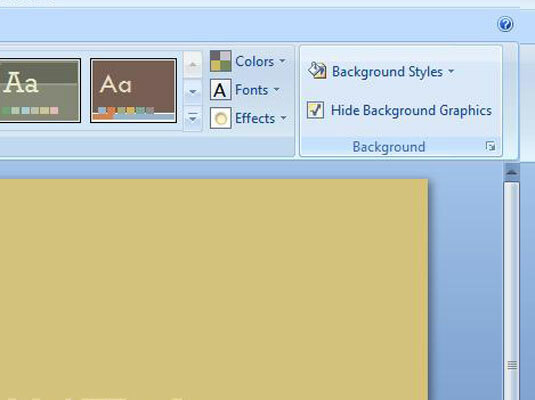 3Hide the background graphics from the slide. 4Call up the Slide Master. 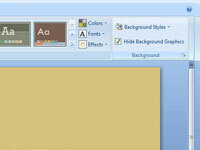 5Hold down the Shift key and then click each of the background objects that you want to appear. 6Press Ctrl+C to copy these objects to the Clipboard. 7Return to Normal View by clicking the Normal button at the bottom of the screen. 8Press Ctrl+V to paste the objects from the Clipboard. If you paste objects in this way, those objects are no longer tied to the Slide Master. Thus, if you later change the objects on the Slide Master, the change won’t be reflected on the slides with the pasted copies of the objects. 9Click the Design tab on the Ribbon and then click the Sent to Back button (in the Arrange group) if the background objects obscure other slide objects or text.